Having seen this over at Ten Cent Notes, as created by That Girl, I have decided to nominate books for the YA yearbook. I am still fine tuning that list and it will be announced on December 31st as part of my FIVE Challenge. This isn't very nice so I'll leave that one alone. There have been three books that I was unable to finish and I will leave it at that. The DUFF (Kody Keplinger). There was a lot of hype built up for this debut and I just didn't see why other than the risque elements. Anna and the French Kiss (Stephanie Perkins) was a book that I had no interest in prior to receiving it. I even put off reading it for a couple of weeks after being gifted it. I think it has something to do with the name, I can't really pinpoint why. Anyway...a truly impressive and emotionally rich yet entertaining debut. A shout out for Kristin Walker's A Match Made in High School that got swallowed up by the mass of books being released earlier in the year and kind of forgotten. A fun read with heart that I would gladly read again. Toss up between Not That Kind of Girl by Siobhan Vivian (I've been waving my SV pom poms a bit) and 2009 carry-over for Jellicoe Road (Melina Marchetta). JR will always be my beloved. Oh wait, I did do a major pimp out of Elizabeth Scott's fabulous Love You Hate You Miss You on the blog. am really happy to say that many people went out and found this overlooked lovely as a response. I unfortunately didn't fall in love with any new series in 2010. I was fond of (which then tapered off) Jenny Han's The Summer I Turned Pretty Series. It is a tie between Cath Crowley (A Little Wanting Song & Graffiti Moon) and Siobhan Vivian (Not That Kind of Girl) who both write characters that are fluid and honest. Both are authors that need to be read more and each has a yen for the arts! To be honest, I don't believe any of the books I read this year were hilarious. There was the occasional laugh worthy moment but no hilarity. I am afraid nothing I read this year meets the criteria - unputdownable yes, thrilling not so much. *At this point I realise I am the worst survey participant EVER. I was very much excited to read Grace by Elizabeth Scott as it sounded completely different from anything she had written. And boy was it. Wow. I was also hanging out for Mockingjay like the rest of the known world. I am rather partial to the simplicity of Graffiti Moon. Dark yet bright. Evocative yet simple. There's something about Tom Mackee that revisits me. He was such an undeniably charismatic character in Saving Francesca in the small role he played but in The Piper's Son he really made an impact. Natalie Sterling from Siobhan Vivian's Not That Kind of Girl was too familiar to not resonate. Loved her. Toss up again - The Sky is Everywhere (Jandy Nelson) and Graffiti Moon - both exquisite and visual. Wordy and sublime. Just beautifully crafted storytelling. Not That Kind of Girl - a book that addressed feminism and independance and sexuality without being preachy. That's tough. Finding Cassie Crazy by Jaclyn Moriarty. I think I horrified many when they realised I was an Australian YA book blogger who hadn't read JM's work. Now I look back on myself in disbelief. I can't wait to get home to get my hands on more of her work. I am loving what Capillya is doing with That Cover Girl - a blog devoted purely to the covers of YA. I never remember anything I write....I am usually more proud of my discussion posts as I don't really consider my reviews to be a strength. Um - I guess my Grace review really seemed to find itself an audience. 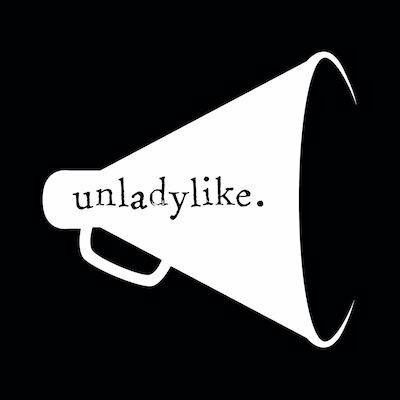 I also heard that it resulted in many, many bloggers requesting undisaplyed copies at BEA. I think my review of Courtney Summers' Some Girls Are was pretty decent too. Wow...based purely on comments, the readers decided that my post Love Bites - When Romance Makes Me Want to Howl was the best. Posts on plagiarism and epilogues came closely behind. To be honest....I am struggling as my memory is shocking. Steph Su Reads' recent post on love was beautifully written, introspective and made my mind wander (in a good way). There was only one and that was the Cassandra Clare signing in Union Square's Barnes and Noble. It doesn't matter - it rocked hard. I had enormous fun with Mitali and had to pleasure of meeting Cassie, Holly Black, Maureen Johnson, Justine Larbalestier and Scott Westerfeld. Read more here. announced that I will be the new Program Coordinator for the Centre of Youth Literature at the State Library of Victoria. My job, not just my passion, is now youth literature. Amazing. Book Depository....I knew you but I hadn't used you. You, BD, saved my life here in Japan. I love you lots! Apparently I need to read Anna and the French Kiss. Pretty much every person that has filled this out has mentioned it and every YA blogger that I follow has deemed it as "one of the best of 2010." When I first saw the book it didn't really pique my interest but I'm going to give it a try I think! Thanks for joining in with me! I'm having fun reading everybody's answers. Although my TBR list is having a bit of a meltdown I'm sure. I bought Love You Hate You Miss You because of you! But I haven't read it yet. Need to! I forgot to tell you I read A Match Made in High school last month! (because of you, of course) Totally a fun read. Grace was an AWESOME review. Loved it. ooh, you've got lots of YA goodness ahead if you're just getting into Jaclyn Moriarty. The Betrayal of Bindie McKenzie is one of my all-time favourite YA books. I bought Cath Crowley's A LITTLE WANTING SONG because of your review and absolutely LOVED it. She is a superb writer. I also highly recommend ANNA AND THE FRENCH KISS to those of you who haven't yet taken the plunge. But definitely read A LITTLE WANTING SONG. 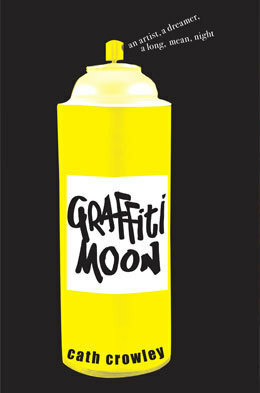 Oh man, I'm thinking that Graffiti Moon is a must have. If it's comparable to Sky Is Everywhere, which I loved, then I have to read it for sure. I can't believe I missed the news that you're moving to melbourne and taking up the job at CYL. That is so wonderful. Looking forward to seeing you at literary events and we'll have to do coffee when you settle down. Congratulations and you'll love Melbourne.